There are 24 national park service sites in Alaska. Several sites in Alaska have a park and a preserve component. Technically, they are two different park service units, however, they are managed and operated as a single unit. I have combined sites which have a park and preserve component as they essentially the same thing. This property is a tributary of the Kvichak River in Alaska. The river runs up to 64 miles and has a catchment area of 1,400 square miles. The name of the river was derived from a local Alaskan word that literally translates to “making mistakes”. The course of the river is constantly changing and splits into different branches. This is why it is also referred to as the Branch River. 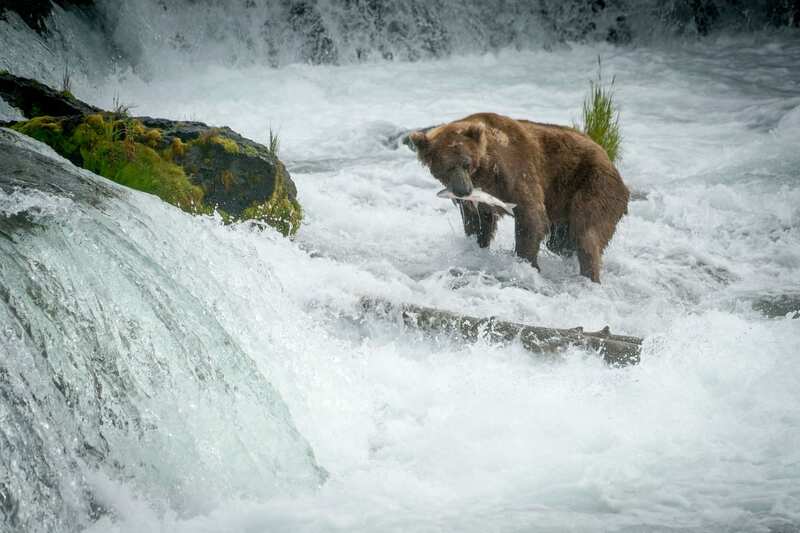 There is a large population of grizzly and black bears within the area surrounding the river (especially during summer and fall) due to the large source of salmon. Other species of wildlife that live near the river include moose, foxes, beavers, wolverines, otters, and minks. There is also a wide range of fish and flora species within the area of the park near the river. This site is both a national monument and national preserve. It is one of the national park service sites in Alaska. It is located within the Lake and Peninsula Borough in Alaska. It was also designated a US National Natural Landmark in 1970. It consists of the region that encompasses the Aniakchak volcano along the Aleutian Range. The remote location and difficult weather in the area make this one of the least visited national monuments and parks in the US, not just in Alaska. This is another highly remote property in this list, located in the Seward Peninsula. The site is aimed at preserving the Bering Land Bridge, which connected Asia to North America during the Pleistocene Ice Age. Today, this land bridge is now buried underneath the waters of the Bering and Chukchi seas. In 1978, it was declared a national monument. The site was then elevated to a national preserve in 1980. This is another national historic landmark that was included in the list of national park service sites in Alaska. The monument is centered on Cape Krusenstern located in northwestern Alaska. It is a coastal plain interspersed with limestone rolling hills and large lagoons. In addition to this, the park features 114 beach ridges that range between gravelly and sandy in nature. The area covered by the park is located above the Arctic Circle region. This is both a national park and national preserve. 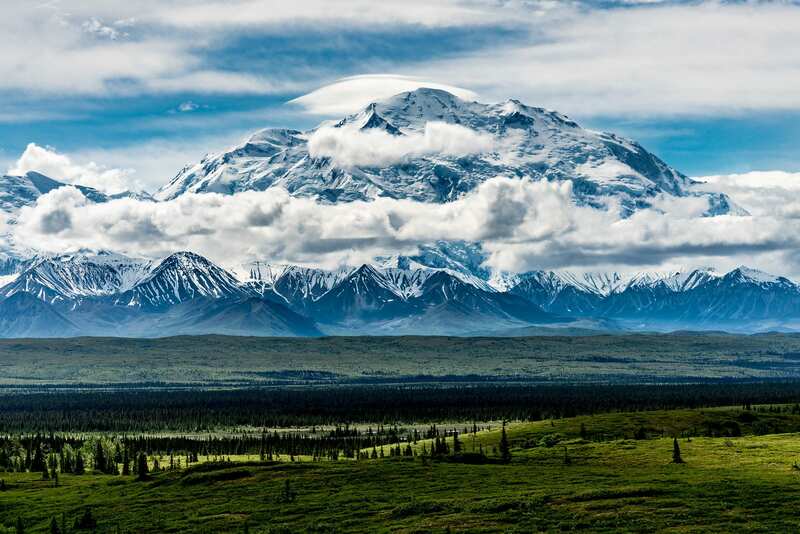 The park is centered on Mount Denali, which is the highest peak in North America. The entire park and reserve measures at over 6 million acres in land area. The landscape within this national park and reserve offers a mixture of forests, glaciers, snow, and rocks. Nearly half a million tourists visit the Denali National Park & Reserve every year, especially during winter wherein activities such as cross-country skiing and dog sledding are popular. This park is situated north of the Arctic Circle and is the US’ northernmost national park. It is also the second largest, nearly the same size as Belgium. The Brooks Range of mountains consist majority of the park and includes the Noatak Wilderness Area. These two combine to form the largest contiguous wilderness in the country. It was first declared as a national monument in 1978 before being named a national park and preserve in 1980. The remote location of the park is one of the reasons why it lacks in terms of tourist visits. It is among the less visited US national parks and many say it could be due to location and lack of park infrastructure. Located west of Juneau, this national park and preserve is a national monument too. 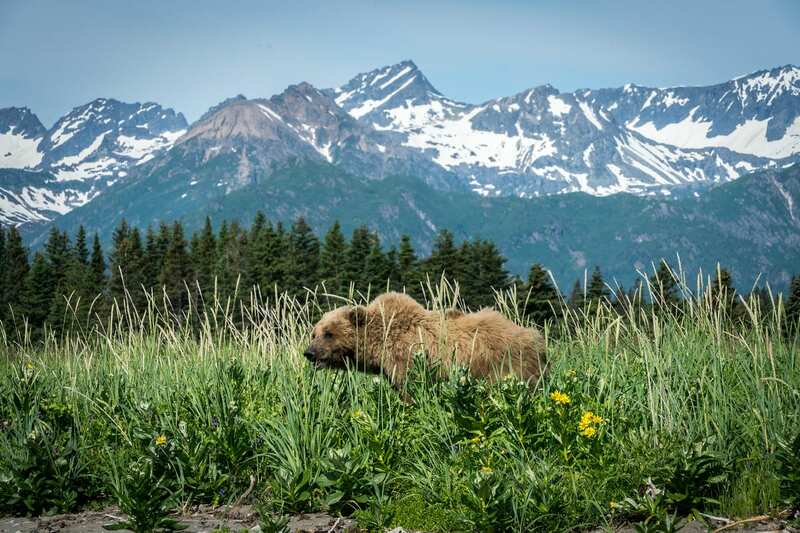 It is also a UNESCO World Heritage Site, which is shared with Wrangle-St. Ellias National Park, as well as Kluane National park in the Yukon, and Tatshenshini-Alsek Provincial Park in British Columbia. 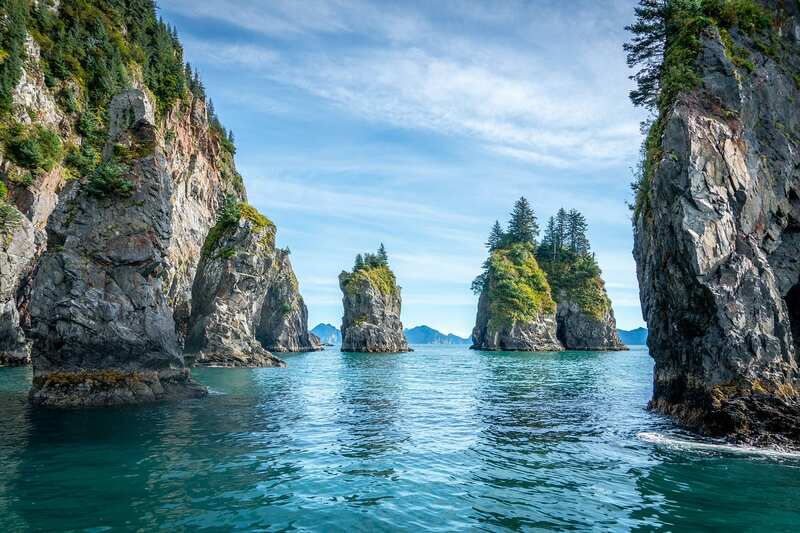 This park is located between the Gulf of Alaska and Canada. In fact, it is within 15 miles of the border. To get to the park, you must do so via air travel since there are no roads that lead to the park. Despite having no road to get here, it gets an average annual visitor count of up to 400,000. This national park and preserve area measures at over 4 million acres of land area (almost the same size as Wales). All hunting is banned within the wilderness area of the park, which is about 3.9 million acres of the total land area of the park and preserves. The park was named after Mount Katmai, which is the most prominent feature within the park. The park was declared a national monument in 1918, which aims to protect the area known as the Valley of Ten Thousand Smokes that formed following the 1912 volcanic eruption. There are 18 volcanoes within the park and 7 of these are active. 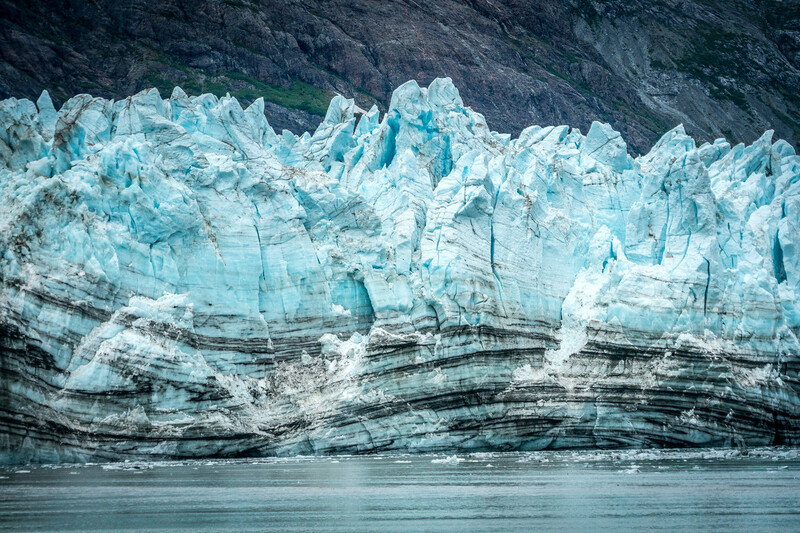 The Kenai Fjords National Park is one of the national park service sites in Alaska. The park was founded by the Alaska National Interest Lands Conservation Act in 1980. It is located near the town of Seward and the Harding Icefield (one of US’ largest ice fields) is its most prominent feature. The numerous fjords found within the park explains the name. There are 38 glaciers in the park. This park is operated by the National Park Service and is considered historical. Alaska shares it with another US state: Washington. The park aims to commemorate the Klondike Gold Rush during the late 1980s. There are four units belonging to this park – 3 of them were located in Alaska and the fourth one is in Seattle, Washington. The Alaskan side of the park is probably most notable for the Skagway and Yukon Trail Route, as well as the White Pass Trail. It is more than just a national park but also a national historic park. Located north of the Arctic Circle, this park was recognized as a United States National Park in 1980. 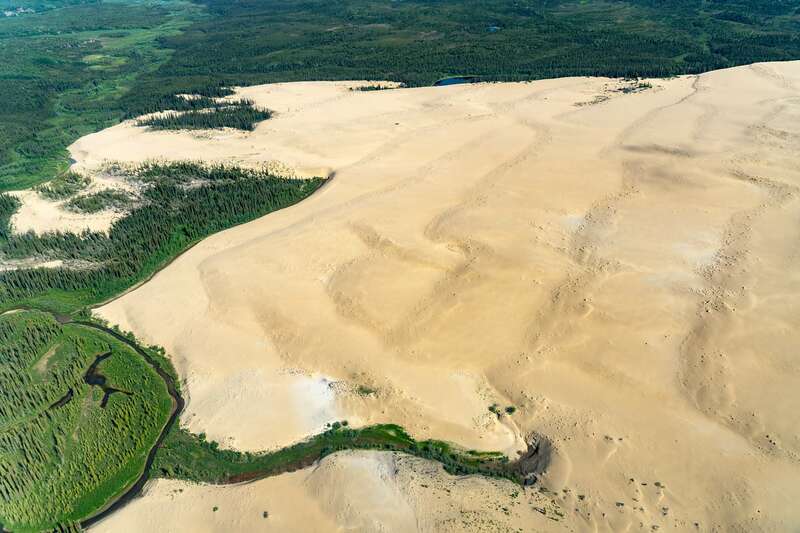 It is notable for the Great Kobuk Sand Dunes and is an important migration route for the caribous. The park offers a wide range of activities for its visitors including hiking, backpacking, backcountry camping, dog sledding, and skiing. However, there are no designated trail routes within the park. Despite that, it is one of the least visited national parks in the United States. The reason for this is because there are no roads that lead to the park; most visitors get here via chartered air taxi. 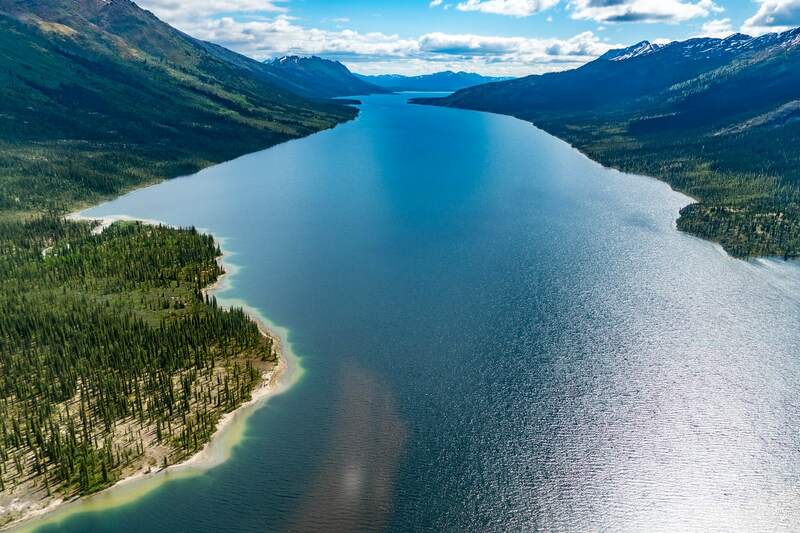 Lake Clark National Park & Preserve is more than just one of the national park service sites in Alaska. It was also named a national monument in 1978. There are several streams and lakes that are comprised within the park, which are considered important as they flow through Bristol Bay salmon fishery and Lake Clark. The park is located about 100 miles from Anchorage, Alaska. The most unique feature about the park is that it offers a wide range of natural features that are not found together in many other national parks in the US. For example, it has three mountain ranges, coastline with a rainforest, glaciers and glacial lakes, volcanoes, salmon-bearing rivers, and a plateau with alpine tundra. The breeding of the salmon within the park is crucial to the local economy and the ecosystem within the park. This preserve was initially established to protect and preserve the Noatak River Basin. This river system located above the Arctic Circle is believed to be the only surviving river system in the country that has not been altered by humans. In fact, the river basin was proclaimed a National Monument in 1978. Despite that, sports hunting is allowed within the park. Once a national monument, this park in Sitka, Alaska was elevated into a national historic park in 1972. The park is aimed to preserve the Tlingit and Russian experiences within the state. The site located near the Indian River was also the site of the battle between the native Tlingit people and the hunters from Russia. When it was named a national monument in 1910, the intent was to preserve the fort and totem pole collection and keep them from being destroyed. After the National Park Service took over the helm of this park, they have hidden the original poles in protective storage and most of the poles you will find within the park are replicas of the original. This is another national monument for the US, which was established to honor the site of the Pacific Theater engagement during the Second World War. There are 9 sites included within this national monument divided among 3 states: the other two states are California and Hawaii. 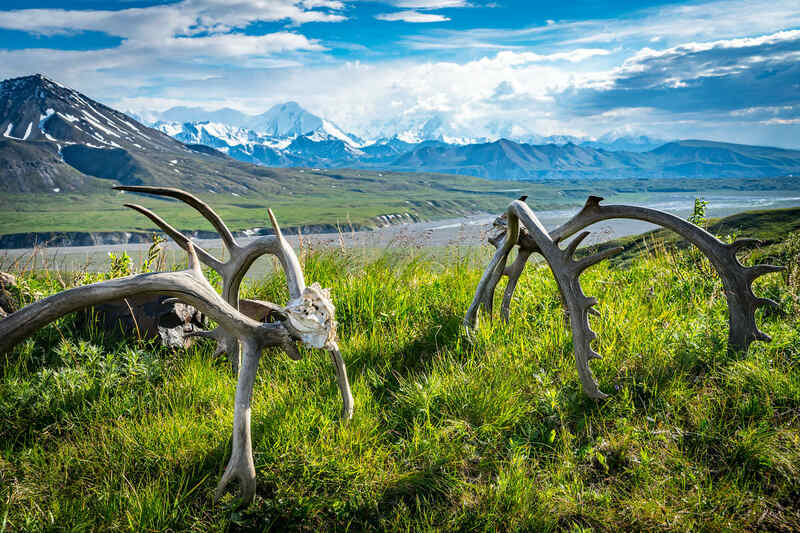 In Alaska, the following sites are included as a unit of this national monument property: battlefield remnants of the Battle of Attu, Japanese occupation of Kiska Island and the crash site of the Atka B-24D Liberator. Another listing into the national park service sites in Alaska is the Wrangell-St. Elias National Park and Preserve. This park is located in south-central Alaska and is also an International Biosphere Reserve. In terms of land area, this park is the largest one managed by the US National Park Service at nearly 13.2 million acres (equal to six Yellowstone National Parks!). 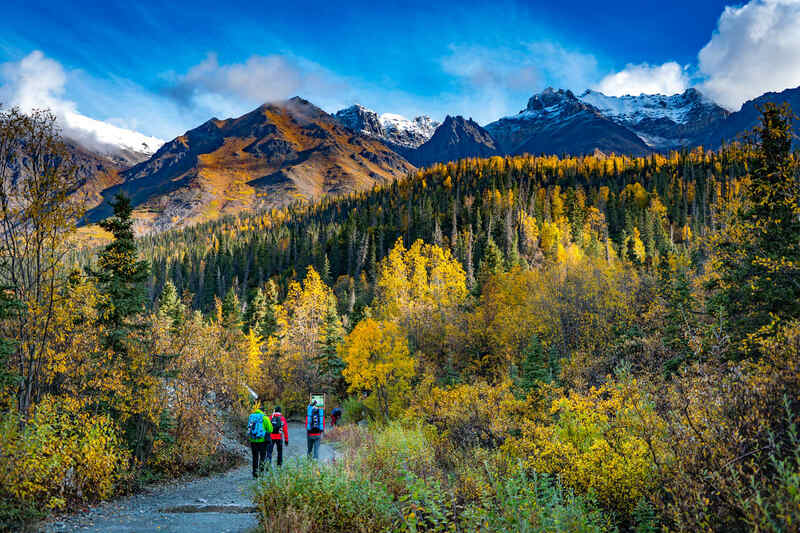 The Saint Elias Mountains consist a large portion of the park and it also marks the highest point within the park. Despite the relative land elevation within the park, it serves as a natural habitat for a wide range of mammal species. Rounding up the list of national park service sites in Alaska is the Yukon-Charley Rivers National Preserve. It is both a national park and preserve, which aims to protect the Charley River and some parts of the Yukon area. The park itself is entirely roadless with Yukon providing the only means of access to the park. The gold rush in Alaska brought in prospects to the area, which was previously remote and undeveloped. Some parts of the park’s total land area are part of the annual Yukon Quest dogsled race route. Note: Sites which is listed as a park and preserve are technically two separate units by law, but are practically managed and maintained as a single unit and have contiguous borders. View is the list of all National Park Service Sites in the US.